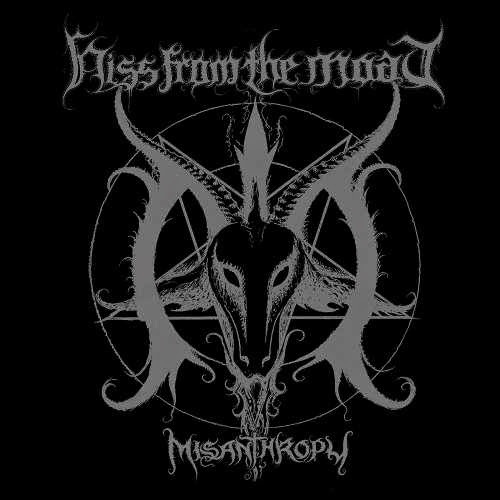 Hiss from the Moat, a three piece from Italy, released their debut full length, titled 'Misanthropy' on 29th October, 2013. The music on this record is a delectable mix of modern death metal and black metal like atmosphere. Following an atmospheric intro that has demonic sounding chants wailing in the distance, the album kicks into top gear with 'Conquering Christianity'. It doesnt take long to become apparent that the tracks on this record have more shred guitar work as opposed to riff based guitars. Tremolo parts are pleasant in heaps and it works well with the blackened atmosphere. As like any other modern death metal band, this band does not shy away from the employment of catchy breakdowns that make for solid headbanging fun. Giacamo Poli's guitar work carries a certain degree of technicality, while at the same time managing to sound catchy. James Payne's drumming features a lot of double bass work and if this is any indication of his skills, he should fit comfortably behind the kit at Hour of Penance. The band's heavy tone can be credited to the capable bass work by bassist Carlo Cremascoli. The band does not have a vocalist of it's own. The album borrows it's vocalists from Hour of Penance, as Paolo Pieri handles growling duties on all tracks with Tommaso Riccardi (Fleshgod Apocalypse) joining him on the track 'Conquering Christianity'. Pieri's growls and snarls has that grim feel that sounds perfect for the band's blackened styling. The track 'The Descent from the Throne' features lead guitar by The Black Dahlia Murder's guitarist Ryan Knight and he adds some memorable lead parts to the track. Many may categorize this band and album as yet another deathcore release, for the mere reason that there quite a few breakdowns employed. Breakdowns apart, this is a good mix of modern death metal with a blackened atmosphere. Lyrically too, the band has that blackened style as they stick to anti religious and pro demonic content in their songs. The production is done in the modern vein, where there is proper audibility of all elements in the music. Though it is not genre bending or completely innovative, 'Misanthropy' is a solid release and I will be definitely keeping tabs on this band and its future releases.